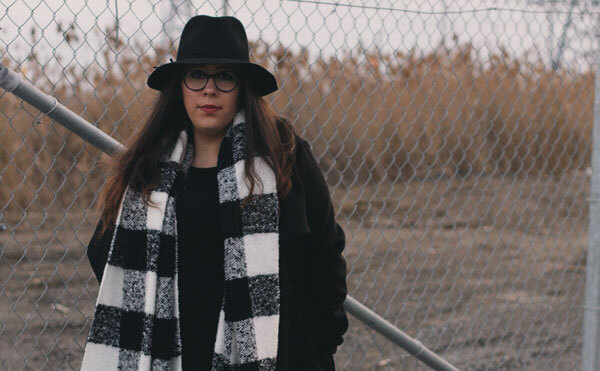 Ita David, a 22-year-old who was born and raised in Toronto, Ontario, graduated from the marketing diploma program at Toronto Film School just last spring and already she had ventured out on her own to start a social media and brand management business. It is no surprise considering Ita’s success as a student at Toronto Film School. 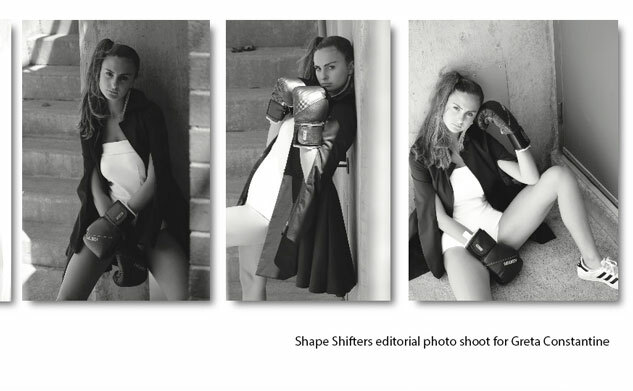 She was on the Honours and President’s List throughout her studies and took part in as many after-school programs and events as she could and was named the 2017 Marketing for Fashion and Entertainment program valedictorian. She passes on this message as program valedictorian: “Thank you Toronto Film School for giving us the determination, knowledge and skills to be the entrepreneurs, merchandisers and marketers we have become. I could think of no better place to have studied. Thank you for such a captivating learning experience.” Find out more about Ida, her passion and motivation, in this Q&A. Telling stories with photos. I love being able to capture a moment in time and then letting people interpret it in their own way. One of the many reasons why I’m drawn to marketing, branding and content creation is because I get to help people/brands/companies tell their stories through many different outlets. 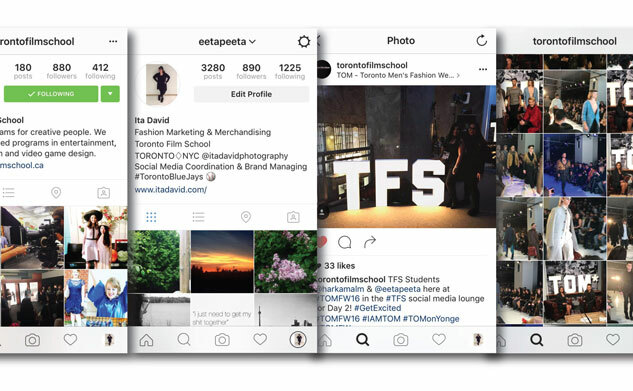 When I was researching the different programs in Toronto, for fashion marketing/merchandising nothing came close to what TFS had to offer. They offered a wide range of courses within the fashion marketing and merchandising industries and I was sold. I was looking for a program that didn’t focus on just one part of each industry and the FMM program was everything I ever wanted to learn and more, within one program. Why do you think you were chosen as the Valedictorian for your program? I think it was my passion for what I was studying, my involvement in classes and extracurricular activities and my hard work. If you’re given an opportunity, always take it. You never know where something can lead you to, or who you will meet. Always put yourself out there and take chances. One of the most important things I learned at TFS is how to work with a variety of people/personalities in difficult situations and to accomplish amazing things despite our differences. Perfectionism. I always strived to be the best that I could be and I wanted my work to reflect that. Having teachers who were exceptionally great and interactive made it very easy to stay motivated. I enjoyed TFS so much because we had incredible teachers, with actual experience within their industries, and we got to work and interact with them in their particular professions. 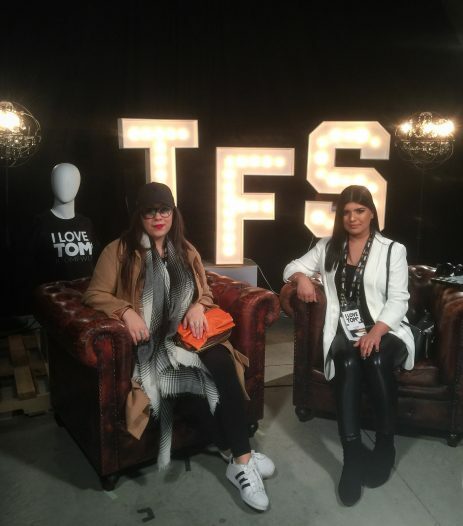 Another reason TFS was so enjoyable, was the opportunities I received to get hands-on experience covering fashion shows/events. If someone asked you to describe Toronto Film School to them, what would you say? It’s a place that you’re not just another number in a classroom. Their small classes make for an intimate learning experience and ability to build relationships with fellow students and teachers. Not only does TFS offer so many different types of extracurricular activities within your industries, but you have opportunities to collaborate with students in the other the programs on and off your campus. TFS brews creativity.